A variety of chardonnay clones that achieve finesse and complexity. Bold and graceful with fragrances of lemon biscuit and overripe oranges. A variety of chardonnay clones planted on different slopes, harvested at different ripening levels and all of it fermented and matured in French oak barrels. These practices help to achieve natural balance and allows for different textural components which we then blend to achieve finesse and complexity. Bold and graceful with fragrances of lemon biscuit and overripe oranges. The juice was barrel-fermented in a selection of 228 litre Burgundy-shaped French oak barrels (45% new, 30% second-fill and 25% third-fill Nevers and Burgundian oak barrels). The wine was matured “sur lie” in the barrel for 9 months with occasional rolling of the barrels to accentuate the leesy character. 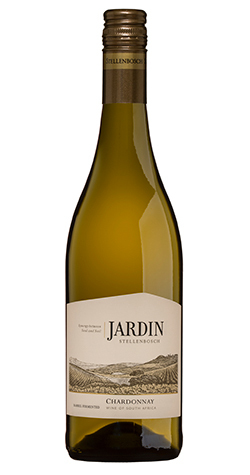 8% tankfermented Chardonnay was blended with the barrel-wine to ensure well-balanced citrus flavours. Both the tank and barrelfermented Chardonnay underwent malolactic fermentation. Situated in Stellenbosch, the heart of the Cape Winelands, Jordan Wine Estate boasts panoramic views of Table Mountain, False Bay and the Stellenbosch Mountains. Established in 1982 by Ted and Sheelagh Jordan, this family-owned estate has been transformed to become one of the leading estates in South Africa today. The first Jordan wines were made in 1993 by husband-and-wife winemaking team, Gary and Kathy Jordan in their state-of-the-art cellar. The estate features a wine tasting centre, rolling lawns and a world-class restaurant where visitors can relax and enjoy fine Cape wines and local Cape fare surrounded by breathtaking views of the vineyards.